Novo Nordisk’s pipeline drugs show ‘astonishing’ weight-loss effects – but can it convince sceptical payers that medicines are the answer to the obesity epidemic? Novo Nordisk, the world’s leading supplier of treatments for diabetes, believes it has a pipeline of drugs which can help tackle the world’s obesity epidemic. There is no doubt that obesity is one of the world’s greatest health problems, and the World Health Organisation is clear that this is truly an epidemic. Rates of obesity nearly doubled between 1980 and 2008 worldwide, and more than half of all adults in the OECD region are now overweight, with 18% considered obese. In the US, more than 1 in 3 adults is obese. Of course this represents a huge market for any pharmaceutical company which can produce a safe and effective weight-loss treatment. Sadly, over the years marketed drugs have been anything but safe and effective: the last 40 years have seen many drugs withdrawn because of serious, or even deadly, side effects, such as Fen-Phen in 1997. Meanwhile, Novo Nordisk has been in the business of treating diabetes for nearly 100 years, being one of the pioneers of insulin production. Despite the clear link between obesity and type 2 diabetes, the Denmark-headquartered company stayed away from the weight-loss market. This changed when it launched Saxenda in the US last year – and looks set to become the market leader among a handful of new treatments. The daily injectable drug has been priced at $1,000 a month, far higher than its rival oral treatments, Vivus’ Qsymia, Arena/Eisai’s Belviq and Contrave/Takeda’s Orexigen. That reflects Novo Nordisk’s belief that the drug can be a game-changer in obesity treatment. One reason Saxenda (liraglutide) is different is that it’s already a well-established diabetes treatment, where it’s known as Victoza. The company noticed that, as well as controlling blood sugar levels, the GLP-1 agonist drug also helped patients achieve significant weight loss. The drug works by influencing appetite regulation in the brain, where there are a number of GLP-1 receptors. These insights led to studies of the drug at a higher dose (3 mg) in obese patients who haven’t yet got diabetes, but who are, nevertheless, at high risk. One of its most impressive results was from one of the SCALE trials, in which Saxenda showed an 80% reduction in the progression of patients from pre-diabetes to diabetes over a three-year period. This, and other large trials, has made Novo Nordisk confident that Saxenda can become a blockbuster treatment, and actually prevent many patients from developing type 2 diabetes, high blood pressure and heart disease by helping them to lose weight. Novo Nordisk has made it clear that the drug is not for cosmetic weight loss, but for those who have high body mass index (BMI>35) with weight-related comorbidities. Its US licence is for people with a BMI of 30, considered obese, or a BMI of 27 with weight-related conditions, such as high blood pressure, type 2 diabetes or high cholesterol. In its pivotal trial, 62% of patients treated with Saxenda lost at least 5% of their body weight compared with 34% of patients treated with placebo. Another trial that enrolled patients with type 2 diabetes showed an average weight loss of nearly 6% from baseline and a difference of approximately 4% compared to treatment with placebo at one year. In this trial, 49% of patients treated with Saxenda lost at least 5% of their body weight compared with 16% of patients treated with placebo. These are solid results, but not quite a match for the kind of sustained weight loss produced by bariatric surgery, and advances in this field make it increasingly the standard to beat. Nevertheless, there are many patients who will want to avoid surgery. In the US alone, there are more than 20 million people in the BMI>35 group, a very sizeable market waiting to be tapped. Early US data showed Saxenda was generating $9 million in sales in September 2015, rapidly equalling the revenues of rival Contrave, which was launched seven months earlier. This would be considered a sluggish start in other therapy areas, but Novo Nordisk says growth of the market will be slow but steady. The drug is now also launched in Canada, Italy and Denmark, with more country launches expected in 2016. Despite the sound science behind it, the weight loss Saxenda produces is still limited, and it does carry side-effect warnings, the most common being nausea. That’s why Novo Nordisk sees it as only the beginning of a much bigger, longer-term assault on obesity. Dr Alan Moses, Novo’s Senior VP, Global Chief Medical Officer was in London last week to showcase the company’s pipeline, and told pharmaphorum that the firm is planning for decades of further drug development against the killer epidemic. “For us, this [Saxenda] is step one. What you are going to see is a 10-20 year progression of evolving therapies for obesity,” said Dr Moses. The company now has four compounds in clinical development, each tackling a recognised biological mechanism linked to appetite, metabolism and obesity. The company says that future combinations of these different drugs could help patients achieve very significant weight loss. Despite the science underpinning Saxenda, there remains deep scepticism about treating obesity as a medical condition. Many US health insurers don’t provide coverage for obesity treatments, and many physicians will doubt that weight-loss medication can help patients lose and keep weight off in the long term. On the other hand, there is support in the medical community for seeing obesity as a disease – the American Medical Association classified it as such in 2013. This decision remains hotly debated, but there is a growing number of endocrinologists and other medical disciplines involved in long-term research into the physiological and psychological mechanisms behind the obesity epidemic. Dr Osama Hamdy is medical director of the obesity clinical programme at the Joslin Diabetes Center in Boston and assistant professor of medicine at Harvard Medical School. Dr Hamdy says changing body weight in obese people is a complex, tough battle. 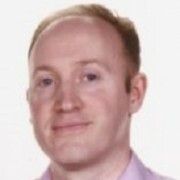 He has pioneered the Why WAIT programme at Joslin, which is based on a multidisciplinary approach that includes dietary intervention, exercise, and behavioural modification aided by medications that suppress appetite. Responding by email to questions from pharmaphorum, he says it is now clear that obesity problems are, at least in part, due to brain dysfunction caused by hormonal or neurotransmitter problems. However, because many of the mechanisms of action are not yet fully understood, drugs can cause side effects such as mood change, sleep disturbances, nausea or constipation. Dr Hamdy is enthusiastic about the pharma industry’s investment in new products, and the growing insight into its pathophysiology. This means there is unlikely to ever be a ‘magic pill’ treatment, which can help patients lose weight, and keep the weight off in the long term, without them also following a strict diet-and-exercise regime. Saxenda certainly has its downsides – not least because it is a daily injection, and patients may have to keep taking the drug for a long period to sustain the weight loss – the kind of ‘compliance’ that is very difficult for any patient to maintain. Novo Nordisk’s price of $1,000 a month for Saxenda is also contentious. Dr Hamdy says he finds the efficacy in relation to the price “not impressive”. “You can get better efficacy from oral medication at a fraction of the price,” he says. “However, the company has new and impressive data that shows effectiveness in preventing diabetes. This is a major aim of obesity management among people at risk for diabetes”. Nevertheless, he wishes Saxenda’s price was “way lower”. Dr Alan Moses says it is highly unlikely that a single drug treatment can reduce weight to the level that patients are seeking. The company is now pushing ahead trials of several new agents. In phase 1 development, the company has three: an amylin analogue, Glucagon 530L – glucagon receptor analogue, and NN9747, a PYY analogue. Meanwhile, in phase 2 development for obesity is semaglutide, a new GLP-1 analogue which is more potent than liraglutide (see Figure 1). Figure 1. Shown in light blue, obesity projects now make up a significant part of Novo Nordisk’s pipeline. Dr Alan Moses says these novel molecules have produced “astounding effects” in animal models, and will now proceed to trials as monotherapies and in combination with either liraglutide or semaglutide. 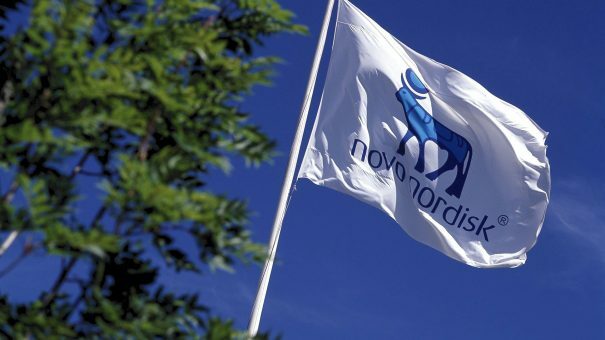 Diabetes treatment remains the core of Novo Nordisk’s business, and it has numerous new products in development to help it maintain its lead in this field. It is also proving itself serious about tackling, and indeed preventing, diabetes, through various public health-based initiatives. One of these is the Cities Changing Diabetes project, which aims to help halt the seemingly inexorable growth of diabetes, which is closely linked with the growth of unhealthy urban lifestyles around the world. Novo will have to demonstrate this kind of responsibility and long-term perspective in the obesity treatment field, so that weight-loss medication can shake off its risky reputation and be considered a legitimate part of solving one of the world’s biggest health problems.